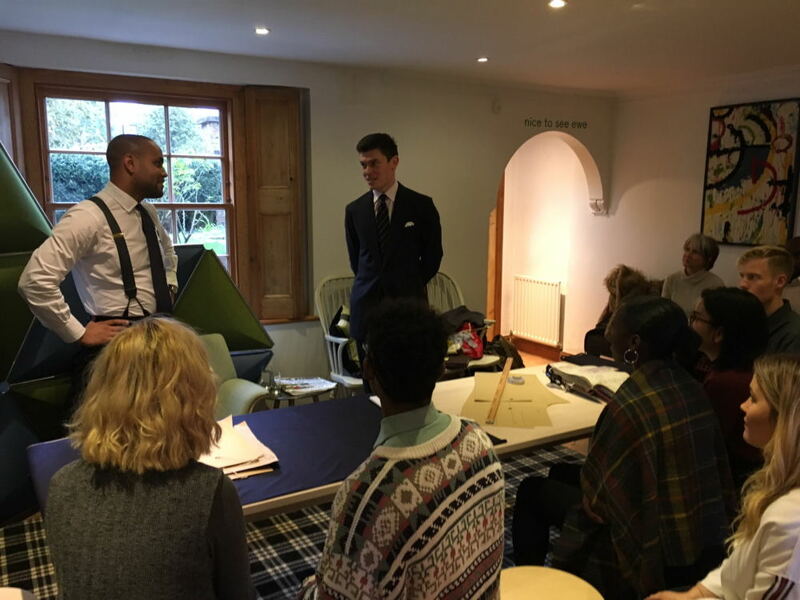 Last week, Oliver and I visited the Wool BnB in Haggerston to take part in a bespoke tailoring demonstration in honour of Campaign for Wool’s Wool Week. The BnB was amazing; we had half an hour before any guests arrived so we had an opportunity to look around. 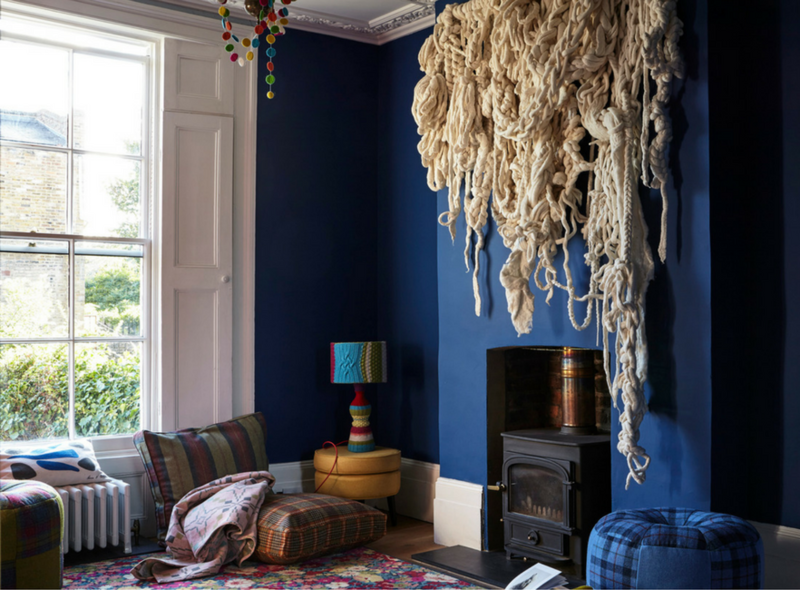 Practically everything was made out of wool, the bed; the sofa, the plates and even the food on them were all made out of wool. We were downstairs in the basement wit small audience of 12 people who had acquired tickets to watch the demonstration. It was an intimate setting, the group were seated very close to us; it was really nice to not feel so detached from the people you are speaking to. 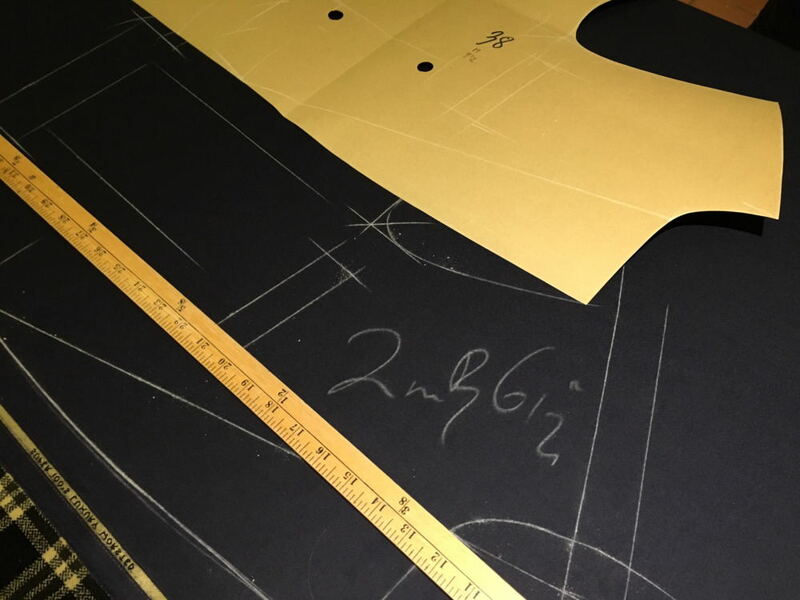 We started off by explaining our history in the company and our history in tailoring. I have been at Anderson & Sheppard for six years and Oliver has been here for eight. 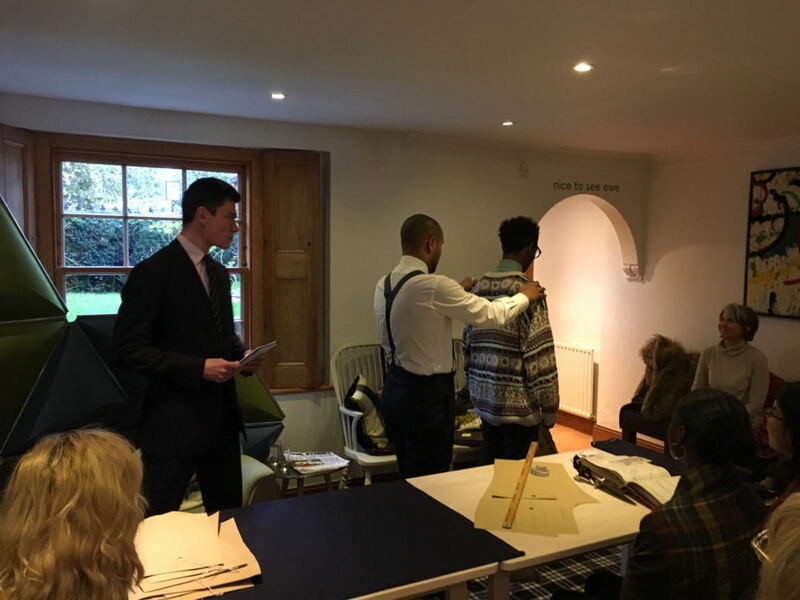 We then picked somebody from the audience to measure; a young student studying Fashion Drawing at London College of Fashion was the lucky volunteer and as we measured him we explained to people what we take into consideration. We look at balance, stance and all the small oddities that people have. Oliver and I informed them that in regards to tailoring there is no such thing as a normal body, even if somebody has so called normal proportions, they will still also have little quirks that we always take into account. That is the beauty of bespoke. We took with us some Holland & Sherry woollen cloth and samples of patterns which we had already drafted to show them and explained about how the cutting process involves taking a 3D human and translating that into a 2D pattern which then gets made into a 3D garment. It’s that transition between those different states that we wanted to get across to them. 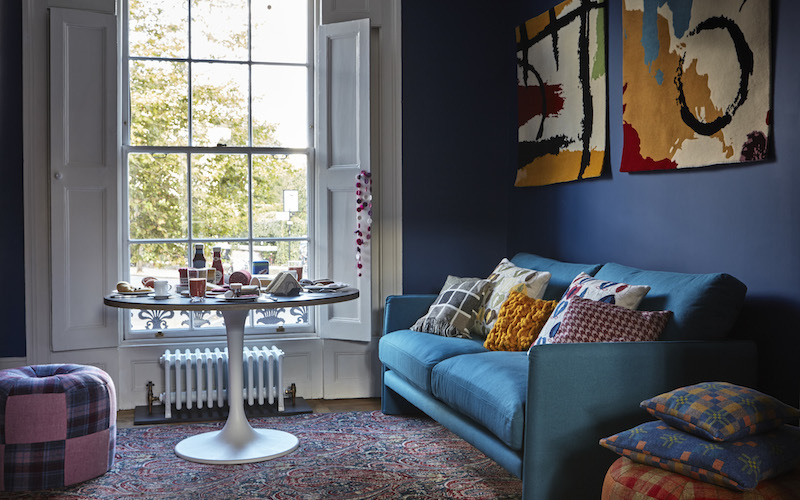 There was a lovely rapport with people, everybody was engaged and asking questions; we even had a bespoke customer there which was great to see. It was a nice mix of people who were all very interested in bespoke tailoring and craft. I think we got across to the audience how passionate we are about what we do and believe everybody enjoyed the experience – Oliver and I certainly did. We would like to thank all those who came to the demonstration and of course Campaign for Wool for having us at the BnB.